The G.B Guadagnini Viola features a stunning hand applied oil varnish and complimentary ebony fittings. This is an ideal option for professional players or a musician looking for a spectacular instrument at an affordable price. 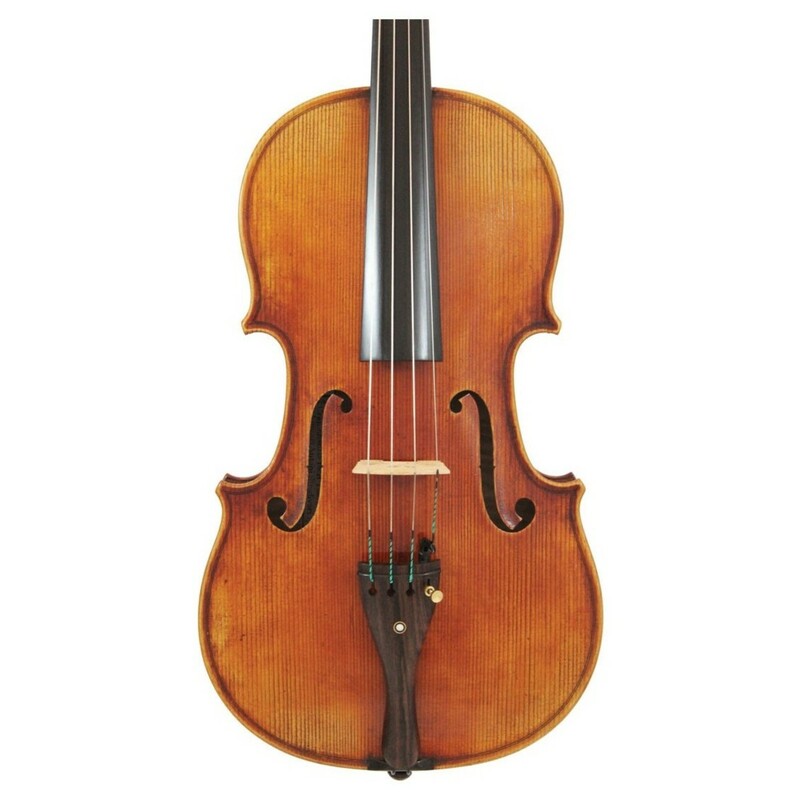 The 15.5" viola is suitable for an average sized adult player and is approximately measured at 64cm. Included with this viola is a rosewood paris eye tailpiece, fitted Despiau bridge, rosewood Guarneri model chinrest and rosewood swiss model paris eye pegs. These strings are fast becoming the go to option for professionals, offering a quick and simple viola setup. Capable of producing strong projection and versatile sounds these strings are capable of producing a long lasting and reliable performance. The A string has a solid steel core and is wound with stainless steel flat wire which is precisely rolled. However, the C, G & D strings are made with an original multi-filament nylon core. The C and G strings both have silver flat wire windings, rolled using the same method as the A string. Whereas the D string comes with aluminium winding which provides flexibility to the overall sound as well as comfort during play. Ebony is a popular wood, known best for the clear, crisp attacks it is capable of producing. This wood is generally much brighter than maple and has a similar density too. Ebony however has oilier pores than maple and extra brittle grains. As a result of the tight grains this fingerboard doesn't require any finish. This quality gives the fingerboard a natural smooth, quick playing ability favoured by many professionals. Although there are many types of wood used to create fingerboards ebony is the darkest of them all. The wood works effectively throughout the instrument's range and is reliable for years.